Want to watch the Golden State Warriors online in the 2018 season? Check out this Warriors live stream guide and see all your legal options. Best option for in-market fans. Unlimited DVR, no contracts, no satellite. Streaming at its finest. Solid option for in-market fans. Largest option on the table for fans of more than just basketball. Data effective 10/5/18. Offers and availability may vary by location and are subject to change. Curry, Green, and Durant are back and looking for a three-peat of their own this coming basketball season. The unstoppable force of Golden State has reached legendary status and wants to take their talent to the next level. If your thirst for Golden State basketball has yet to be quenched—we got you. So put on your jersey ‘cause by the end of this article you’ll be ready for game time. To catch regular-season Warriors games, your best bet is NBC Sports Bay Area. ABC or NBA TV will be the place for all Warriors fans outside of California to catch the most Golden State Action. ESPN will cover a handful of games throughout the season, but not enough for any reasonable fan. If you want more detail on these services, you’ll want to keep reading—this is where things get real juicy. YouTube TV’s got more game than any other service on this list because of its unlimited DVR, lack of contracts, and solid local channel selection. Let me put it to you this way, YouTube TV is like Durant and Curry combined when it comes to streaming. YouTube TV comes out at $40 a month, making it the most reasonable option on this list. For that price, you’ll end up with 73 live TV channels, including ones like NBA TV and TNT, which means you’ll get access to all Golden State games that are broadcasted nationally. You’ll also get plenty of other channel favorites like FX or AMC, giving you something to watch during the off-season. YouTube TV is showing some good hustle out there, but it gets even better. YouTube TV has an unlimited cloud-based storage system that’ll store all the games you choose to record. And we totally mean it when we say unlimited—but there is a limit on how long you can keep your recordings. Each show or game you record has only a nine-month lifespan. Consider it a shot clock, but for your watching habits. Let’s call a quick time out and consider some of YouTube TV’s drawbacks. Unfortunately, Golden State games are mainly broadcasted locally. If you don’t get access to NBC Sports Bay Area, you’ll probably end up missing out on a couple of games during the regular season. We recommend that you check out which channels are available in your area by heading over to YouTube TV’s homepage and clicking on its Try It Free button. This will let you use your ZIP code to see what exactly YouTube TV has to offer you. DISH is the option for the fan looking to be entertained 24/7 because, with a channel selection this big, there is no off-season. So you’ll still be watching all the latest draft drama and sports news no matter the season. DISH’s America’s Top 200™ brings you over 240 channels, as well as three months of premium movie channels and sports channels like NBA TV and NFL RedZone. With all that coverage, DISH is the choice for sports fan following several teams. Just like YouTube TV, DISH offers channels like TNT and NBA TV. So you can ditch the line for tickets and parking because you’ll end up bringing courtside seats to your living room. Let’s get to the tough stuff. DISH brings a lot of good to the table, but there’s a two-year contract if you want to go along for the ride. We share your collective sighs and eye-rolling because who wants to deal with contracts in 2018? But it’s not all bad—there’s no price hikes (we see you, DIRECTV), so DISH still gives you the biggest bang for your buck. All in all, DISH might not be for everyone because a two-year contract on top of the monthly expense can leave a bitter taste in anyone’s mouth. But if you have the right budget, you won’t regret the amount of stability and coverage DISH brings come tip-off. 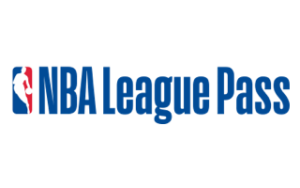 #3 NBA League Pass: Not in your market? Not a problem. NBA League Pass is the best option for jersey-wearing, face-painting, long-time Golden State Warriors fans—particularly those who don’t live in-market anymore. This is your own personal team pass for the entire season, so consider it a home away from home. Check out the website for yourself and you’ll be back in the Bay Area in no time. NBA League Pass is the option for the Golden State fan who’s moved out of state and has been starving for some Curry action. It’s price tag of $119 a season isn’t too bad when you break it down on a month-by-month basis. It also gets you all out-of-market games and all the news on a single team of your choosing (a.k.a. Golden State). Basically, it fills in the cracks that YouTube TV and DISH leave behind. But there are other options on the table for fans who want as much basketball as they can get. If you want every game this season it’ll be $199.99 a year. Or to skip commercials, you can choose NBA League Pass Premium for $249.99. Let’s get something straight: NBA League Pass is not for everyone. You may ask yourself, “why is an NBA exclusive service at the bottom of the list?” First off, good question and secondly, its because NBA Team Pass is for those who aren’t able to watch local channels like NBC Sports Bay Area. If you’re in the Bay Area, a service like NBA Team Pass will do you no good. But if you’re in Cleveland or Boston, NBA Team Pass may be your oasis. You’ll be getting full game replays and live games for one or more teams, depending on the package you choose, but you won’t be getting much of anything else. We can sum up the benefits of this service like this: location, location, location. America’s Warriors have conquered kings, so don’t miss out on what else they can do. All you need now is to pick one of the options from our list and we can all sit down for an exciting season.